If you don't think science is cool, and that space is the place, you are either a child or a rube, but allow us to present some evidence anyway. Mars, for example, is red, like a fast car; it's 300 million miles away, and being distant is always cool; and finally, it photographs well, as you can see in these brand-new pictures, which are some of the highest-quality shots of the planet ever. We have these new images because the Mars InSight probe just made our first landing on the Red Planet in 12 years, an event you could even live-stream. 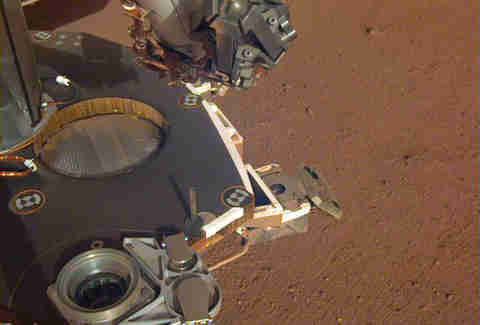 The probe promptly sent a batch of fresh (though low-quality) Martian photographs -- and even found a mysterious shiny object. For an Earthling, this was exciting stuff. And now, it's even more exciting because we have Instagram-quality pics. 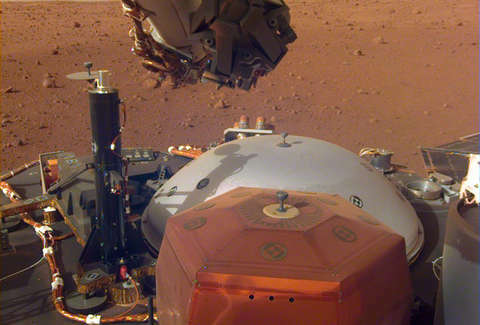 The InSight probe is on Mars to do far more than take selfies, but until it's fully operational, which might not be for months, it'll be taking pictures and preparing for its mission. Insight is short for Interior Exploration using Seismic Investigations, Geodesy, and Heat Transport. In short, the probe will be studying Mars' seismology and internal heat to help us better understand how planets -- like Mars and Earth -- are formed. 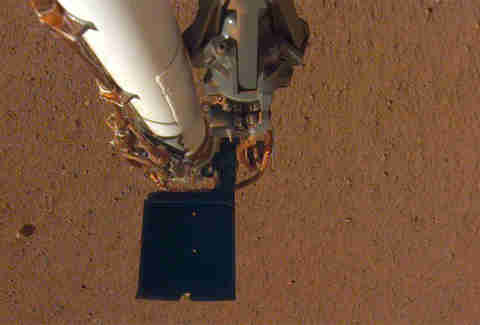 The probe is actually equipped with two cameras. The one that took these pictures is the Instrument Deployment Camera, which is mounted the elbow of a 6-foot arm and will be supplying us with more gorgeous images. The other is the Instrument Context Camera, which takes less sharp images and is more for practical purposes. Unfortunately, those images are going to be lower quality than anticipated. So take heart: We still have the other, better camera, and we're getting images from a place so far away that instructions take 12.5 minutes to reach out equipment. There will be plenty more to come. The mission is planned to last two Earth years -- or one Martian year.